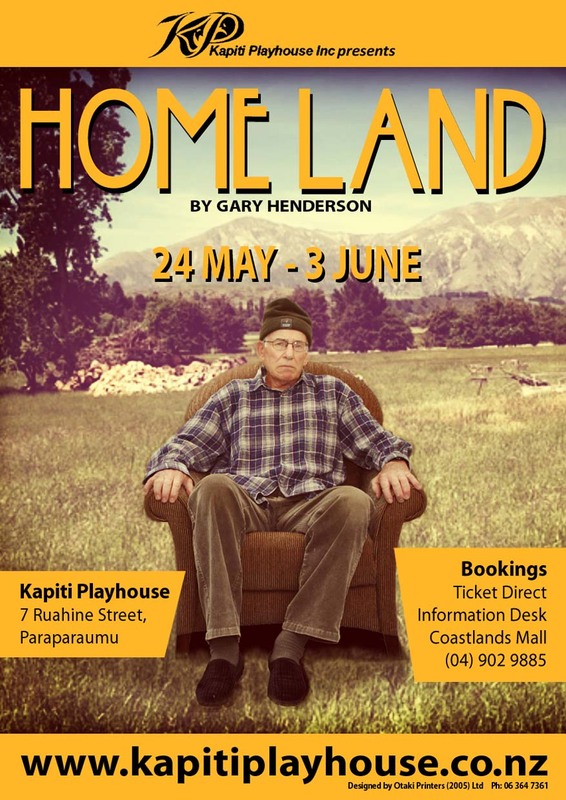 Home Land - Kapiti Playhouse Inc.
Ken Taylor knows this land intimately. Every stream and gully; every smell, every mood. He’s farmed it for 40 years. He coaxed a living out of it and raised a family here. Now Ken is 80, a widower and ailing. His children think it’s time for a new kind of home. Drowsy afternoons and smiling caregivers. They gather to help shift the old man ….. but Ken is not going gently. 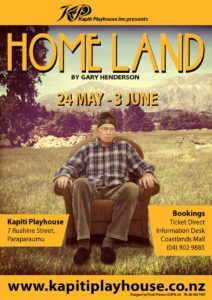 This is a story about home – why we need it, why we have to leave, and why we always return.